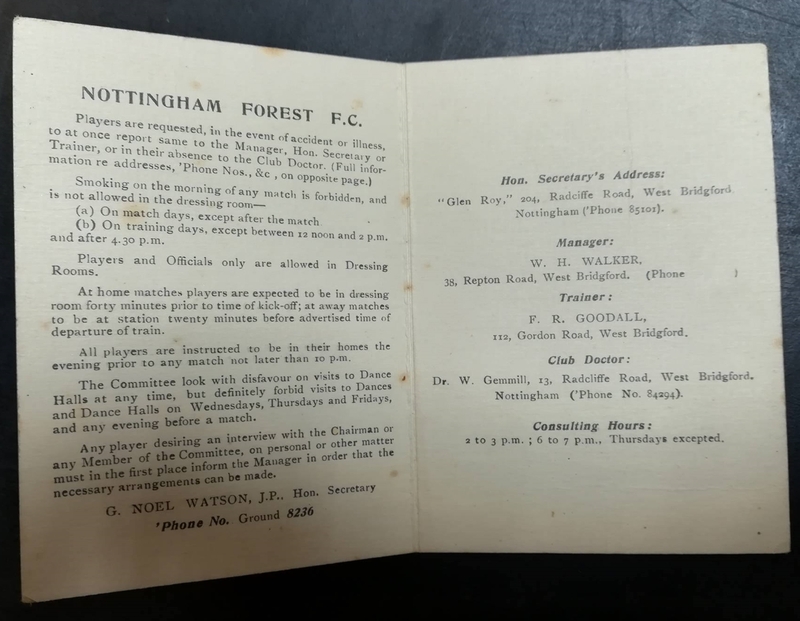 Tom Peacock was an influential inside left who made more than 100 appearances for Forest in the build up to World War Two. He scored 57 league goals for the side after joining in 1933. 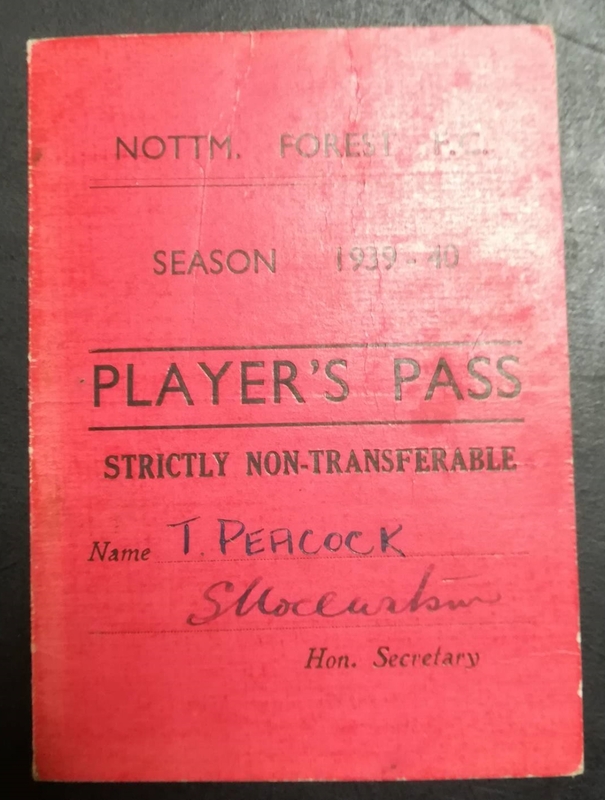 This Player’s Pass was given to Peacock ahead of the 1939/40 season, which was of course cut short by the outbreak of war.